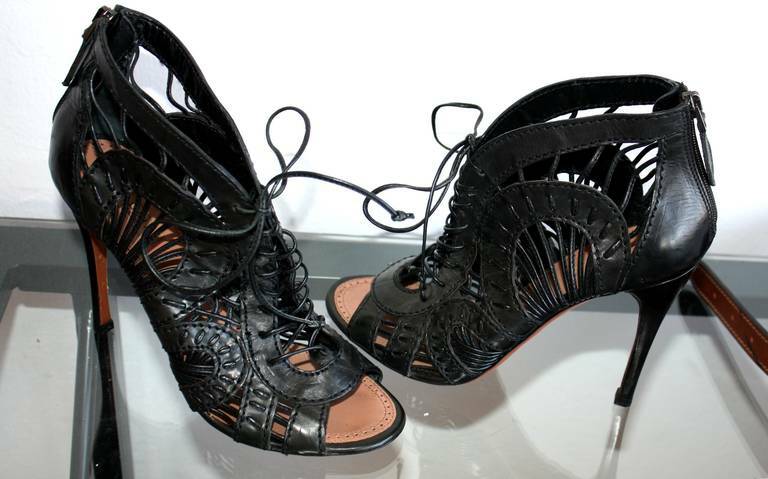 Absolutely stunning pair of brand new Alaia black leather cut-out gladiator heels. 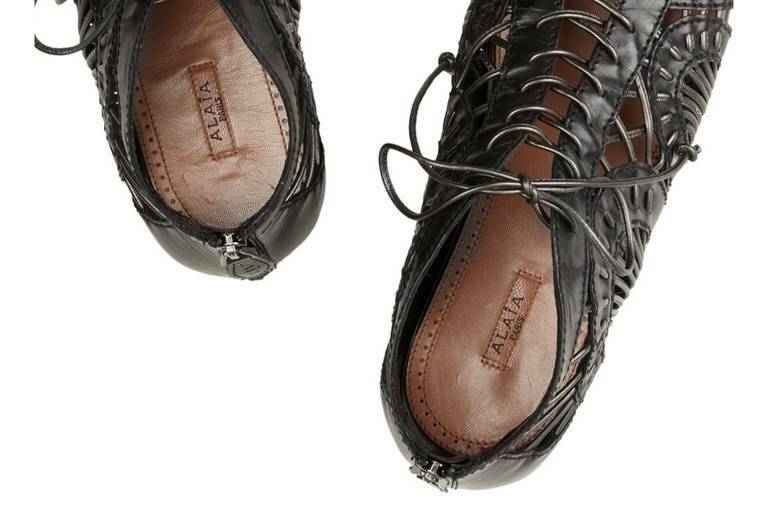 Laces up front, and zipper above heel, with pull stamped "Alaia." These beauties retailed for $2,700, and literally sold out within days! 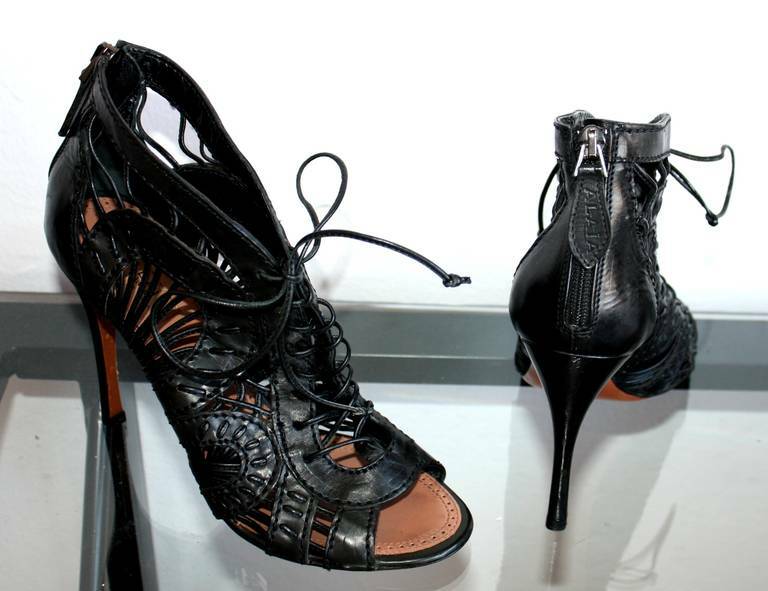 As seen on Nicky Hilton on the Red Carpet, and Ashlee Simpson out and about in Hollywood. Never Worn. In great condition. Made in Italy. 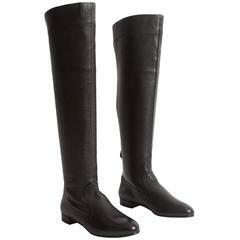 Marked Size 38-Fits true to size.